Ten years ago, a patient in Manitoba might have had to wait up to 280 days to see a nephrologist who could assess their risk for kidney failure. Today, that same patient would have to wait no longer than 40 days to get the same information. What accounts for this dramatic improvement in care? It's a deceptively simple formula known as the Kidney Failure Risk Equation. Developed by Winnipeg kidney specialist Dr. Navdeep Tangri, the equation allows doctors and nurses to accurately predict their patients' risk of kidney failure within the next two to five years. As a result, patients who have been diagnosed with chronic kidney disease are spared the stress of having to wait as long as nine months to learn important information about their condition. Clearly, that can make a real difference to patients and their loved ones. But, the implementation of this equation - here and elsewhere around the world - is also saving millions of dollars in health-care costs by cutting down on unnecessary visits to specialists and ensuring that resources are focused on those who need them most. It all starts with a focus on patient-centred care. As Tangri explains, a patient who has been diagnosed with loss of kidney function will naturally wonder whether they face imminent kidney failure or need dialysis treatments. "For many people, all they know about kidneys is dialysis and transplants, so when they are told they have reduced function, people think, 'I have only 40 per cent kidney function - this is a disaster.'" In reality, however, there is a big difference between reduced kidney function and kidney failure. Depending on the other factors, a patient with 40 per cent kidney function might only have a three or four per cent risk of kidney failure over the next five years. The fact that the equation can be used to predict kidney failure risk quickly helps patients understand that their situation may not be as bad as they think. "It immediately tones down the level of anxiety in the room," says Tangri. 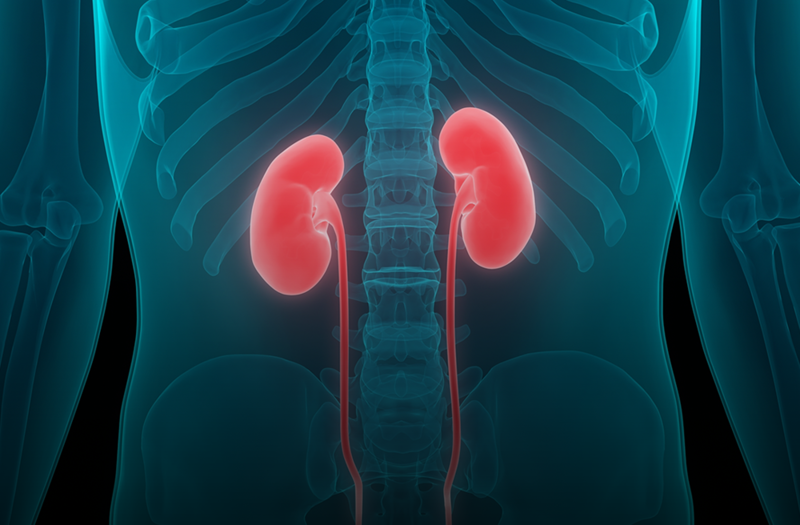 Patients who are at a low risk for kidney failure can then focus on a treatment and management plan including medication and dietary change to manage their symptoms and prevent increased loss of function. The focus of their treatment would remain on reducing cardiovascular risk and improving overall health rather than worrying about impending kidney failure. Delaine James, a nurse at the Seven Oaks General Hospital Kidney Health Unit, says there is no question the equation has had a positive impact on patient care. "When we tell people, 'Your two-year risk is 10 per cent,' that gives them a lot of comfort, knowing that dialysis is probably at least two years away." When patients learn that kidney failure is not around the corner, the nurses have the opportunity to provide education and counselling on living with the disease. "It takes the panic out of it," agrees her fellow nurse Joanne Kuz. "It buys them some time." The equation is based on four factors: the patient's age, gender, glomerular filtration rate (essentially, their percentage of kidney function), and urine albumin (a measurement of a particular protein in the urine). Reduced glomerular filtration means the kidneys aren't able to filter out impurities as rapidly as healthy kidneys. The kidneys of a healthy adult clean 100 ml of blood per minute. That adds up to 144 litres in a day. Since the average adult has about five litres of blood, that means blood is cleaned about 30 times per day. With 40 per cent function, the kidneys would clean 40 ml per minute, which would mean the individual's blood would only get about 12 cleanings in a day. Having a higher amount of albumin in the urine means that the kidneys are like a sieve - properly functioning kidneys should filter it all out. The beauty of the equation is that "it doesn't need to take everything into account," says Tangri. That makes it particularly convenient for health-care professionals. "Physicians are good at figuring out who's at high risk and who's at low risk," Tangri notes. But it can be hard to predict the risk for people who are somewhere in between. "We've shown in multiple studies that it predicts risk better than the physician." Tangri began developing the equation in 2009 while he was working on his PhD at Tufts University in Boston. He analyzed data from Ontario on 8,000 kidney patients to see what the patients who experienced kidney failure had in common. The first version of the equation used eight factors to calculate risk, but Tangi found that the simpler four-factor equation was just as accurate. He published an article on the equation in 2011 in the Journal of the American Medical Association, which led kidney specialists to start using it. As it became more widely used, he had even more data on predicting risk and published another paper on the equation in JAMA in 2016. "If one wanted to assess the risk of kidney failure anywhere in the world, this is the application the doctor would use." Today, the equation is one of the most widely used Manitoban-made medical innovations (though he did his PhD in Boston, Tangri is a University of Manitoba faculty of medicine graduate). It has been used to assess more than 700,000 patients in more than 30 countries. A calculator for the equation can be found online at kidneyfailurerisk.com. It can also be accessed on a smartphone via the QxCalculate app, so any physician can plug in the numbers and show a patient his or her risk. The website and app counts uses and demonstrates how busy it is in real time. In one week in early August it was used 347 times in Canada and 69 times in July alone in Winnipeg. "If one wanted to assess the risk of kidney failure anywhere in the world, this is the application the doctor would use," says Tangri. Use of the calculator is being promoted in clinics throughout Manitoba, thanks to financial support from Research Manitoba's Applied Health Services Grant, which is designed to support collaborations between policy-makers, service providers, and researchers interested in working together to address health-system challenges. 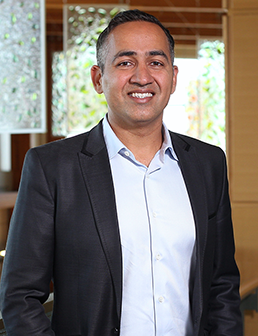 Tangri also acknowledges the buy-in the idea and his research program has received from supportive colleagues in the Manitoba Renal Program and the University of Manitoba's Faculty of Medicine's Section of Nephrology. In addition to benefitting patients, the equation has also prompted Manitoba to adopt a new approach to decision-making regarding patients with chronic kidney disease. As Tangri explains, many decisions affecting care for kidney patients used to be based on the test of kidney function. Now they are based on the risk of kidney failure, which is a different measure. For example, a patient's primary-care physician used to refer patients to a specialist when kidney function was between 30 and 60 per cent. With the equation, referrals are now made when a patient has a risk of kidney failure that is greater than three per cent within five years. The result is that many patients who were unnecessarily waiting to see a specialist are now being cared for by their primary-care physician. Other transition points for care had a similar basis. Previously, an interdisciplinary team consisting of a nurse, dietitian, pharmacist, social worker and nephrologist (kidney specialist), would be called in to care for a patient when kidney function was reduced to 30 per cent. Now the team is brought in when the two-year risk of failure is 10 per cent or greater. Decision-making on when to outfit a patient with a fistula, a device that facilitates dialysis, has also been affected. Previously, a patient would undergo the surgical procedure when kidney function was below 20 per cent. Now, that referral is made when the risk of kidney failure is 20 per cent or greater within two years. These changes have allowed health-care providers to focus attention and resources on the patients who need it most, saving money in the process. In Ontario, taking this step with the interdisciplinary teams resulted in savings of about $7 million per year for the province's renal program. In Manitoba, it is estimated the savings could reach about $1.2 million annually. "To have sustainable universal health care, you need intelligent triage systems." "Every intervention has some costs," notes Tangri. "To have sustainable universal health care, you need intelligent triage systems." Getting a handle on kidney treatment is particularly important in Manitoba. The province has one of the country's highest rates of diabetes, which causes about 45 per cent of chronic kidney disease. "Kidney failure and kidney disease are Manitoba's epidemic," says Tangri, noting that the rate overall is about 15 per cent, and even higher in the Indigenous population at 30 per cent. "We have the highest rates of kidney failure in Canada." One result of that high rate of kidney disease is that at any time in Manitoba, 1,500 patients are in the dialysis program. Indeed, kidney disease is one of the most common chronic conditions throughout the world. It affects as many as 10 per cent of North Americans and 25 per cent of North Americans over the age of 65. Generally speaking, kidney disease is diagnosed in five stages, from Stage 1 (slight) to Stage 5 (approaching failure). The most common symptom of chronic kidney disease is exhaustion. "Sixty per cent of patients with low function say they feel exhausted." Shortness of breath and swelling are also symptoms. Screening is done with blood and urine tests. People with diabetes or hypertension or those who have a first-degree relative (parent or sibling) with kidney disease should be screened. As common as kidney disease is, only three per cent of people diagnosed with it will experience kidney failure. So that makes it worthwhile to be able to separate those three per cent from the millions of others with the disease. Controlling the salt and water content in the blood, so people with reduced function often have high blood pressure and swelling. Activating the vitamin D that the body obtains from sunlight, so poor function can lead to problems with bone density. Making the hormone erythropoietin. This controls the production of red blood cells, so people with reduced function are at risk of anemia. Regulating the PH (acid-base) balance in the blood. If the PH gets too low (acidic), fatigue, confusion, and rapid breathing can result. If it gets too high (basic), muscle twitching, numbness, nausea, vomiting and confusion can result. Reporting to the minister of Growth, Enterprise and Trade, Research Manitoba has an annual budget of $15 million and supports researchers working in the fields of health, natural sciences, social sciences, engineering and the humanities.